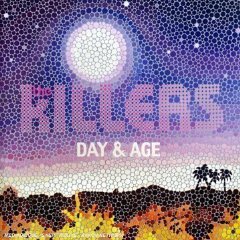 And I know this has nothing to do with food… but I am just really LOVING the new Killer’s album, Day & Age. I love all their work… but this album in particular just moves me. If you are a fan of The Killer’s and you haven’t gotten this album yet, I highly recommend it… it’s great. Don’t let the mixed reviews scare you off! For me… it was the song Human that made me infatuated with this album. I LOVE this song… and for those of you who have read the Twilight Series — this song SO reminds me of the books! Check it out if you don’t believe me. Oh… and if you have to ask “what is the Twilight Series?” — don’t even talk to me.